The company said it will induct 16 Boeing 737-800 NG aircraft on dry lease and has applied to the DGCA for a no objection certificate to import the aircraft. SpiceJet said the new inductions will not just bring down flight cancellations to nil but also help in the company’s aggressive international and domestic expansion plans. Shares of SpiceJet surged 10 per cent to Rs 111 on Friday, gaining 18 per cent in the past two trading days after the company said it will induct 16 Boeing 737-800 NG aircraft on dry lease. The company has applied to the Directorate General of Civil Aviation (DGCA) for a no objection certificate (NOC) to import the aircraft. The stock was trading at its highest level since July 24, 2018 on the BSE. In the past one month, it has rallied 44 per cent, as compared to a 2 per cent rise in the S&P BSE Sensex. The induction of aircraft subject to regulatory approvals, the aircraft would begin joining SpiceJet fleet in the next ten days, it added. “The sudden reduction of aviation capacity has created a challenging environment in the sector. SpiceJet is committed to working closely with the government authorities to augment capacity and minimize passenger inconvenience,” said Ajay Singh, Chairman and Managing Director at SpiceJet. Analysts at Elara Capital maintain ‘buy’ rating on SpiceJet with the target price of Rs 144 per share. 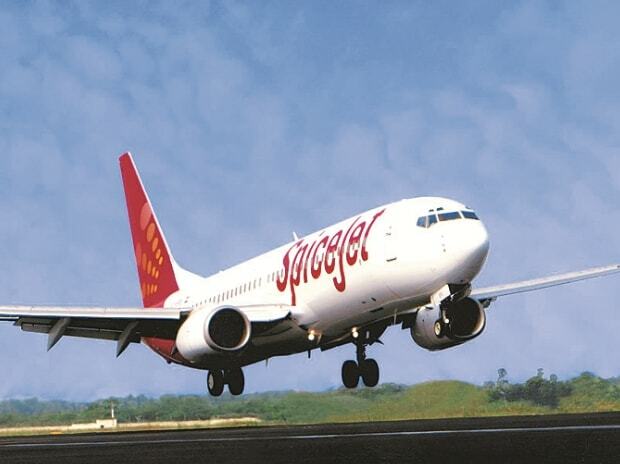 The brokerage firm reiterates SpiceJet as top pick in the aviation sector, due to little competition in regional routes and strong fleet order book. SpiceJet is better placed to hire outgoing Jet Airways pilots, as both carriers are flying similar Boeing-737 aircrafts in domestic routes, the report added. At 09:30 am, the stock was trading 8 per cent higher at Rs 109, against 0.22 per cent rise in the Sensex. The counter has seen huge trading volumes with 3.29 million shares changing hands so far, against an average 1.99 million shares that were being traded daily in past two weeks on the BSE.